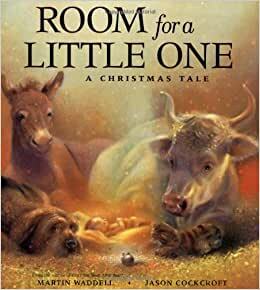 Characters such as Kind Ox, Old Dog, and Stray Cat offer a re-telling of the Nativity story from the point of view of the animals in the manger. Martin Waddell is the award-winning author of many books for children, including Can't You Sleep, Little Bear? and the other Little Bear books, illustrated by Barbara Firth, Farmer Duck, illustrated by Helen Oxenbury, and Owl Babies, illustrated by Patrick Benson. He lives in Northern Ireland. Jason Cockcroft won the first ever Blue Peter Award in England for his illustrations in John Bunyan's A Pilgrim's Progress, retold by Geraldine McCaughrean. He illustrated Daddy's Lullaby by Tony Bradman, which was selected as one of the Best Books for Babies by the Beginning with Books® Center for Early Literacy. He lives in North Yorkshire, England. This is a sweet, beautiful book. It's a large picture book and each page is as beautiful as the cover. Pictures take up the whole page with the text embedded in the picture. I used to teach first grade and we would read lots of different versions of the same story or theme. I still do this today for my own son, who turned 5 right after Christmas. Last year we did the 12 days of Christmas. (He was into counting.) This year, we did the nativity story. This was my favorite version we read. Animals come to the stable one after another and the kind ox invites each one to come in to share his shelter. Children love this kind of repetition, they feel both empowered by knowing what is going to happen next (another animal will come to the door) and curious (what animal will it be this time?) One theme of the book is that of animals that are usually predator and prey are calling a truce for their mutual benefit of a warm, safe place. That theme will be lost on young children - to them, of course all the animals would stay together to be warm! A theme that does come through loud and clear is kindness and sharing. The ox has a warm place to sleep and invites others to share it with him rather than just keep it to himself. Finally, donkey comes to the door. Donkey is carrying Mary. Ox invites Donkey and his family in and Mary has baby Jesus during the night. It's a different point of view on Mary and Joseph. Rather than being on the outside with Mary and Joseph wondering where they will stay, we are on the inside safe and warm with Ox, and we see Mary and Joseph on the outside. I think this helps young children understand the predicament Mary and Joseph were in at a very basic level - They needed a warm place to stay and have their baby. Children don't understand taxes, let alone journeying to pay them. Nor do they really understand the concept of an inn or hotel and no one having any openings - it's outside their sphere of understanding. But children understand needing to be safe and warm. A beautiful book with a beautiful story and message. 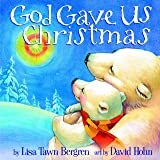 I absolutely loved this book and have started a new tradition for Christmas at our home because of it. I've created my own Nativity which includes the Ox, dog, cat, mouse and donkey. I'm also looking for a donkey carrying Mary with Joseph leading it which I'm finding is nigh to impossible. I read the story to my grandchildren and great grandchildren as I placed the figures into my Nativity scene. It was a wonderful experience this year and hope it will be for years to come. I also bought several of these books to give to those same beloved grandchildren. 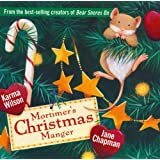 Such an adorable story to read to young ones to describe Christmas. The pictures are very beautiful to look at and is not too wordy but describes the manager science perfectly. I would suggest this book to anyone who is looking to tell the story of Jesus’s birth to a child. I gave this to my two preschooler grandchildren for one of their Christmas presents. 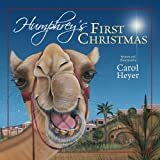 The story and the illustrations create a warm, reassuring atmosphere of safety and security for the reader, as the animals and finally, the Mary and Joseph's donkey, come seeking shelter. I don't know if this was intentional or not, but it's an appropriate parallel to the safety and security that is found in the person of Jesus. Beautiful book.